Accept guest reviews without ever granting access to your admin panel! 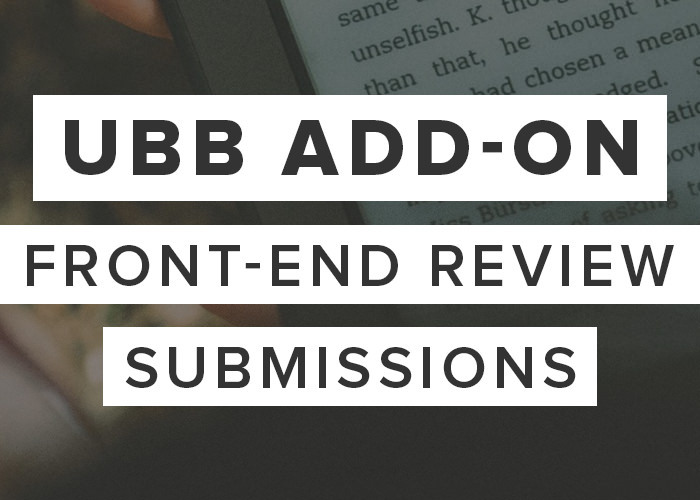 The Review Submissions add-on allows you to create a front-end form on a normal WordPress page where your readers can submit their own book reviews. 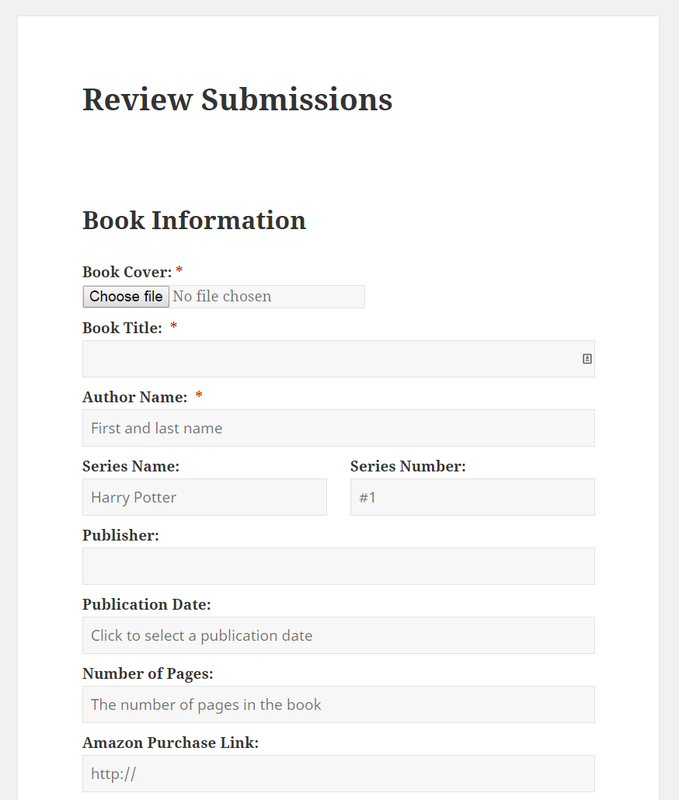 There’s a simple form field box for each piece of UBB information, including: title, author, cover image, synopsis, rating, review, and more! All the reader has to do is fill in these boxes and click “submit”. This creates a new “Pending” post in your admin panel that you can publish, edit, or trash! The list of genres appears as a checkbox so the reviewer can select from options you already have on your blog, rather than creating new ones. When someone submits a book review, it’s given the status “Pending” so that it doesn’t go live on your blog straight away. You can review it and choose to edit, publish, or even delete it. If a review was submitted through the front-end form, you’ll see a new box on the Edit Post page called “Review Submission”. This contains all the contact details from the reviewer in case you need to get in touch with them. This add-on requires at least version 3.0.8 of the Ultimate Book Blogger Plugin. Fix: License key field not appearing in Ultimate BB > Licenses. Fix: Undefined index errors on new installs. New: Added submitted reviews to data exporter. 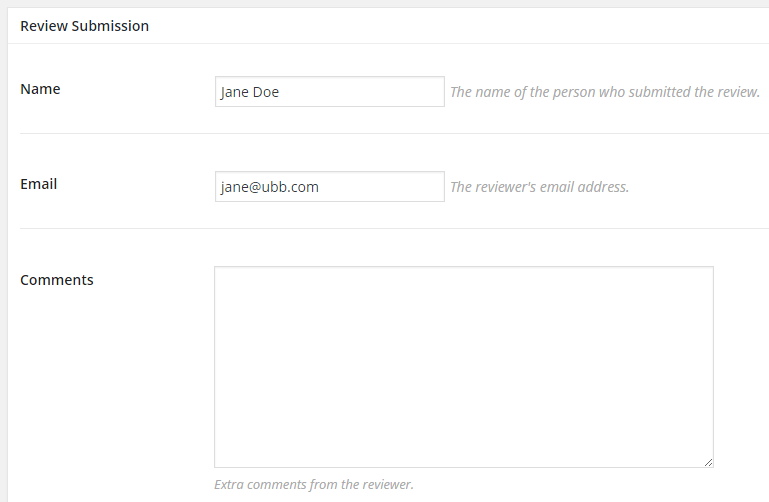 New: Submitted reviews are anonymized when using data eraser. Tweak: Update documentation URL in settings. Tweak: No longer relying on CMB2 to create Review Submissions meta box. Fix: Fix incorrect textdomain being used throughout plugin. Fix: Check if author ID exists before setting on created post. Updated to new UBB license key system. Only load assets on page that contains the submission form shortcode. Fixed a problem with the admin notification subject line not being correct. Fixed a persistent "username already exists" error when trying to register a new account (even when the username doesn't exist).